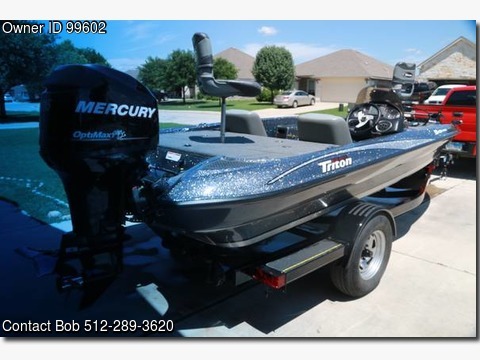 Boat is located in Kyle,Texas.Please contact the owner @ 512-289-3620…115 HP Mercury Optimax Motor and MotorGuide Foot-controlled Trolling Motor (71 lbs thrust). Three Bank Charging System, Swing-Away Trailer Tongue, Two Newer Trolling Batteries, Two Lowrance Fish Finders, Dual Livewells, Stainless prop, and KeelGuard. Motor has <60 hours. Matching Boat Cover and Motor Cover Included Package is in “like new” Condition. Everything on this boat Looks/Works Like New.